A frame that is secured to the bed to keep covers from resting on the feet. 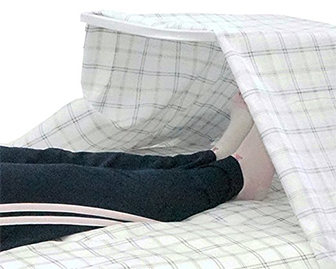 This makes a cocoon for your feet to rest in and minimizes the weight placed on the feet during sleep. Great for people that have muscle weakness in their legs, need joint protection or had recent surgery on their lower body.